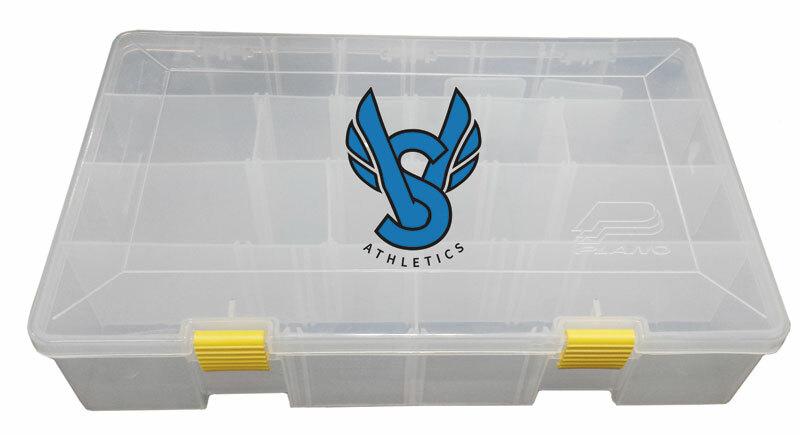 1 x Strong plastic case with adjustable dividers for 4-15 compartments. Locking tabs on cover. Box does NOT have a carry handle. 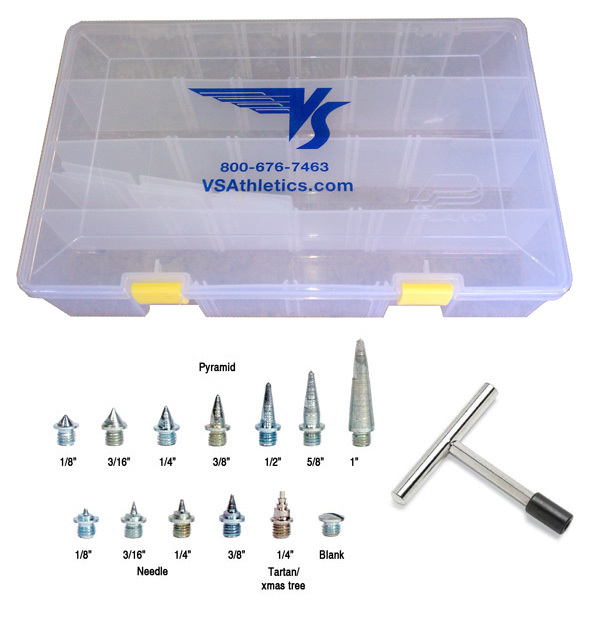 Your choice of 15 bags of spikes in any combination. YOU MUST SPECIFY WHAT SIZE SPIKES YOU WANT!! IF YOU WANT A SPECIFIC NUMBER OF A CERTAIN SIZE, PLEASE ADD COMMENTS ON THE CHECKOUT PAGE. If you do not specify we will call or email you and it may delay your order. Replacement box available in selection list.